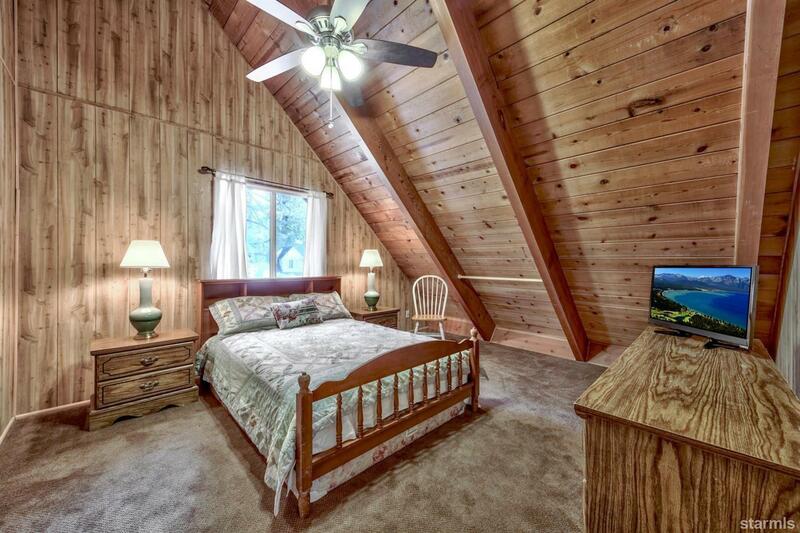 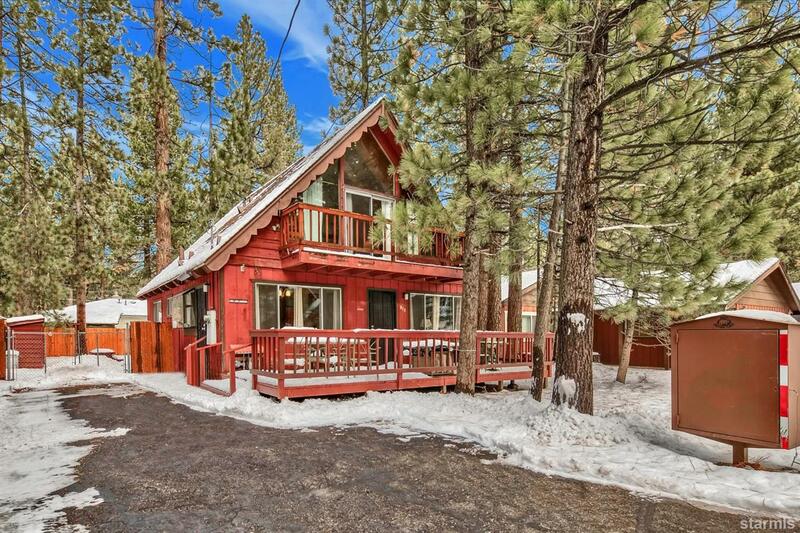 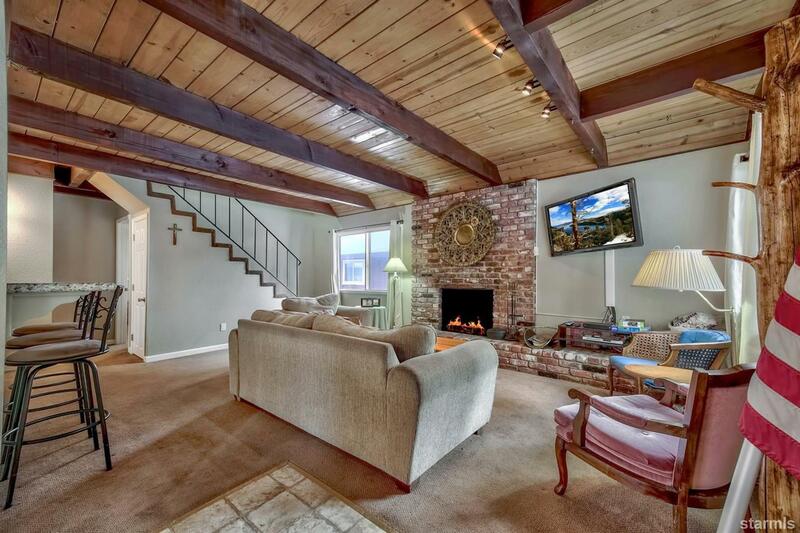 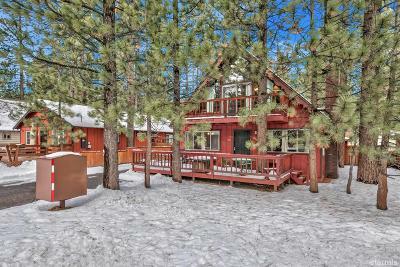 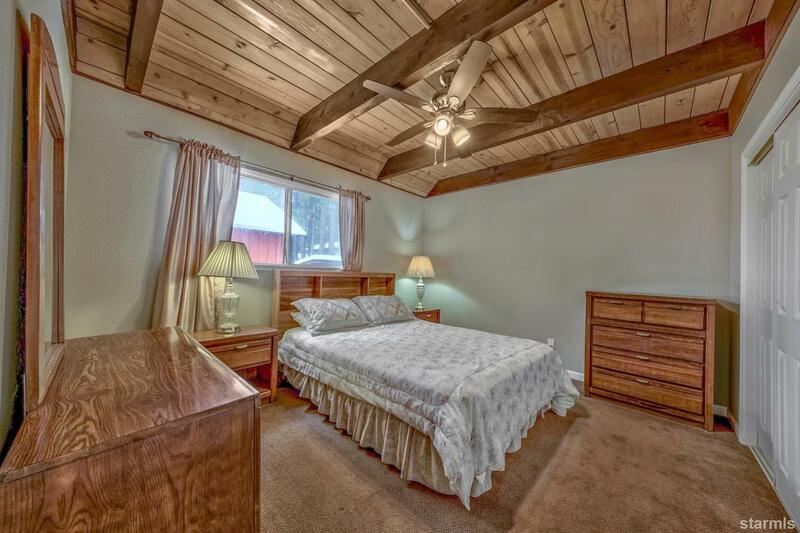 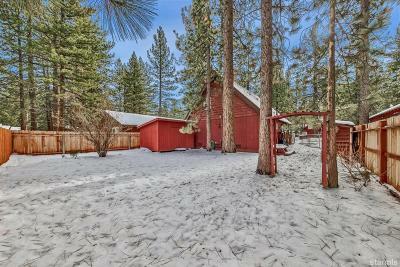 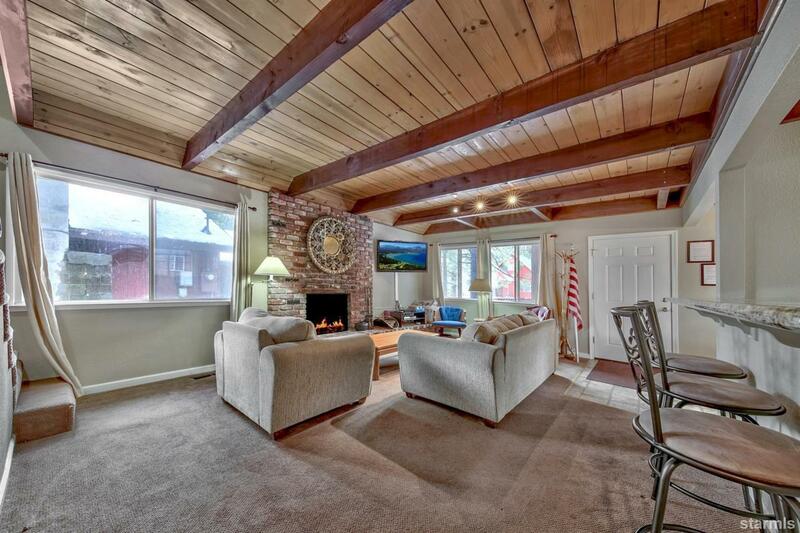 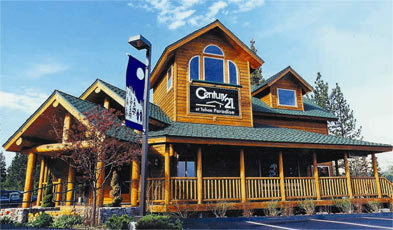 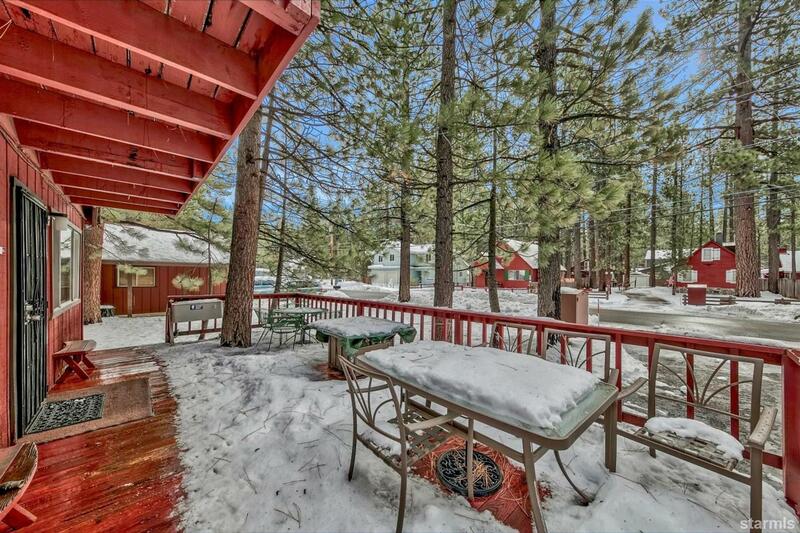 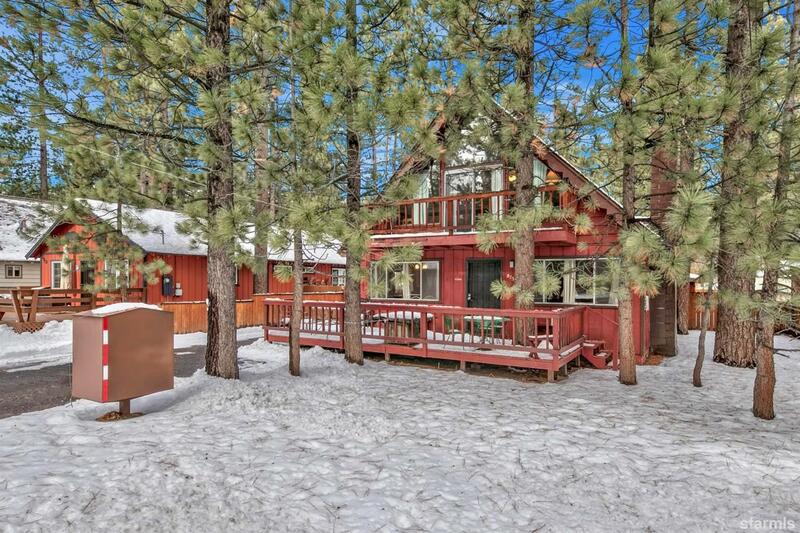 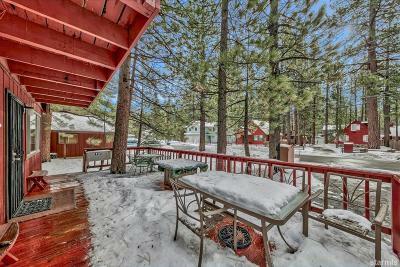 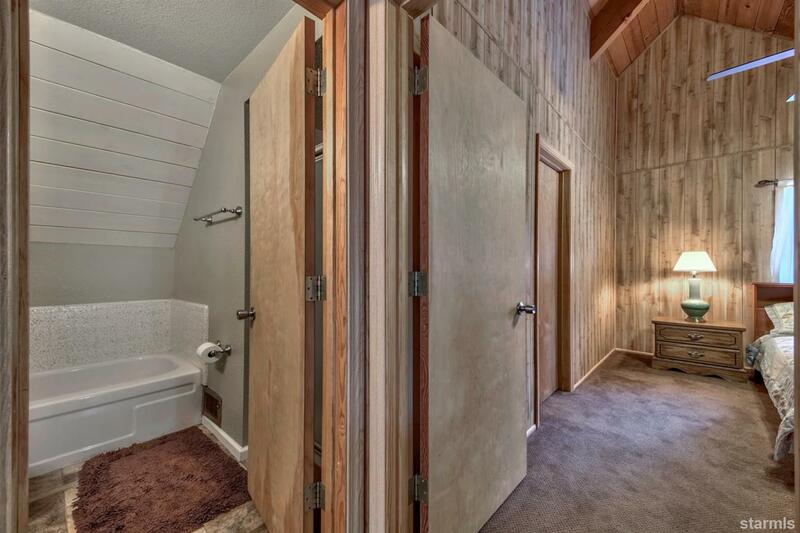 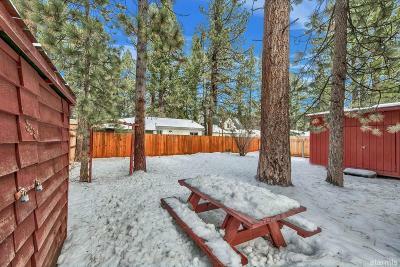 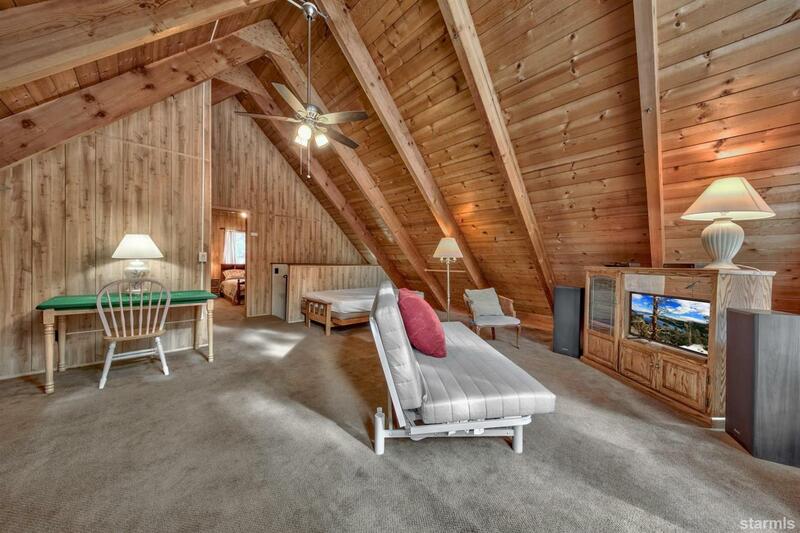 Cozy and comfortable Tahoe cabin just steps to Lake Tahoe. 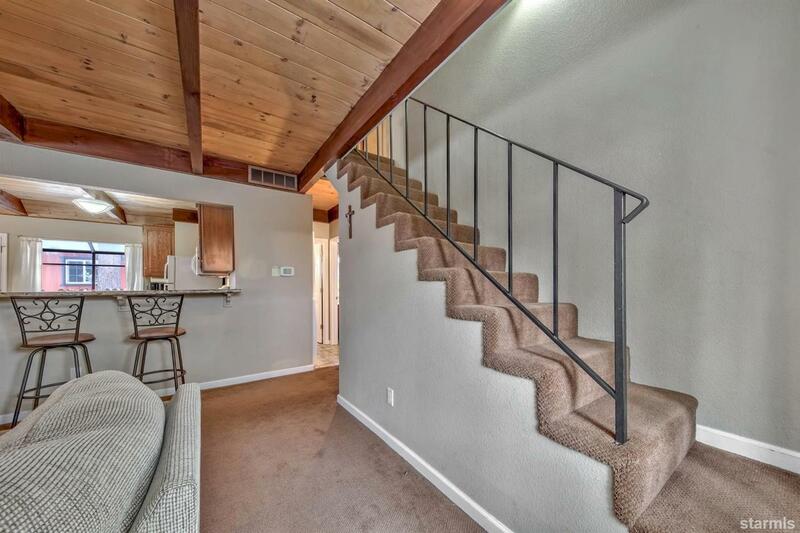 Downstairs living with a full bath and two bedrooms downstairs and another bedroom, bathroom and large loft upstairs. 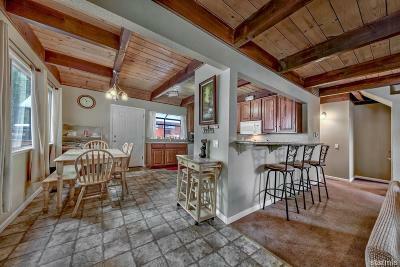 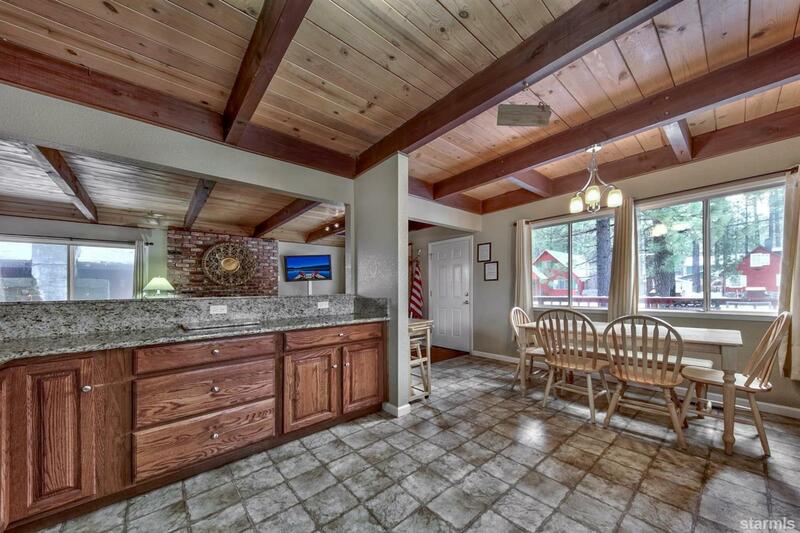 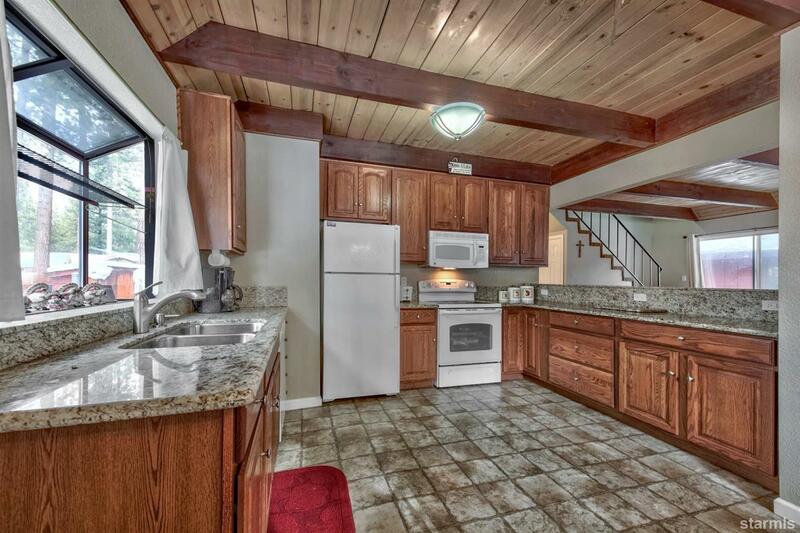 The kitchen has been upgraded with granite slab counters and offers plenty of storage. 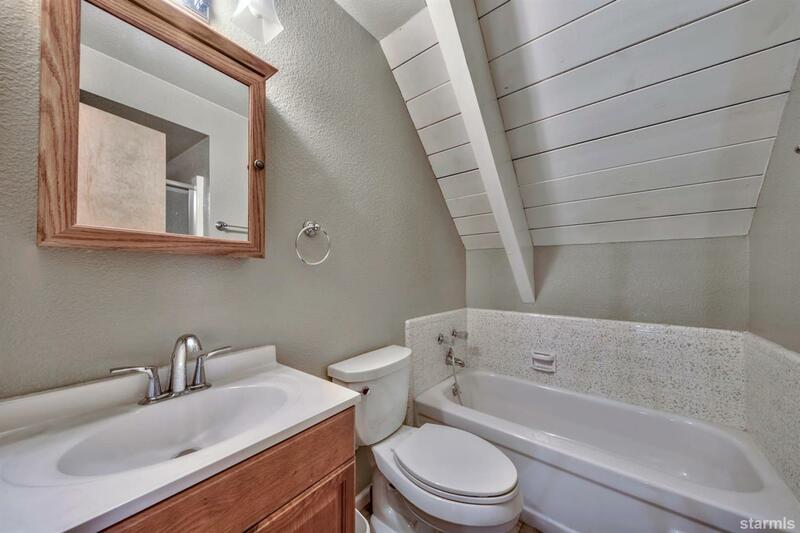 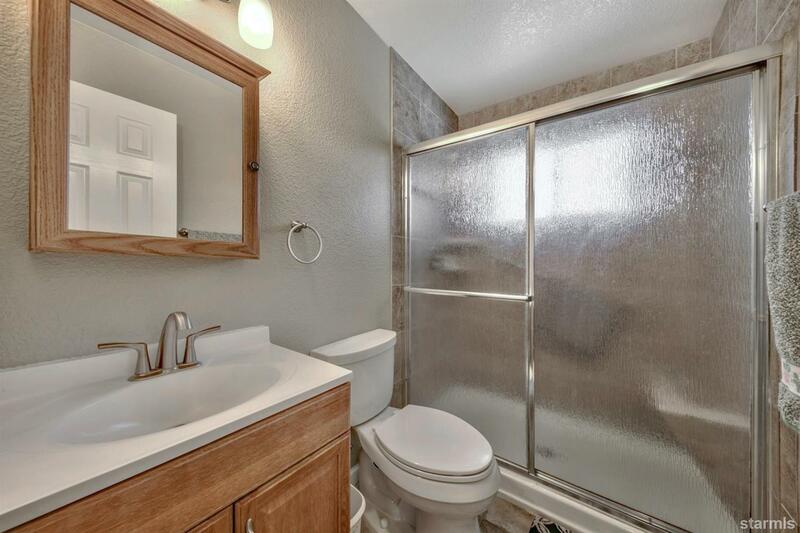 The downstairs bathroom has been remodeled with neutral tile in the shower, newer flooring and plumbing fixtures. 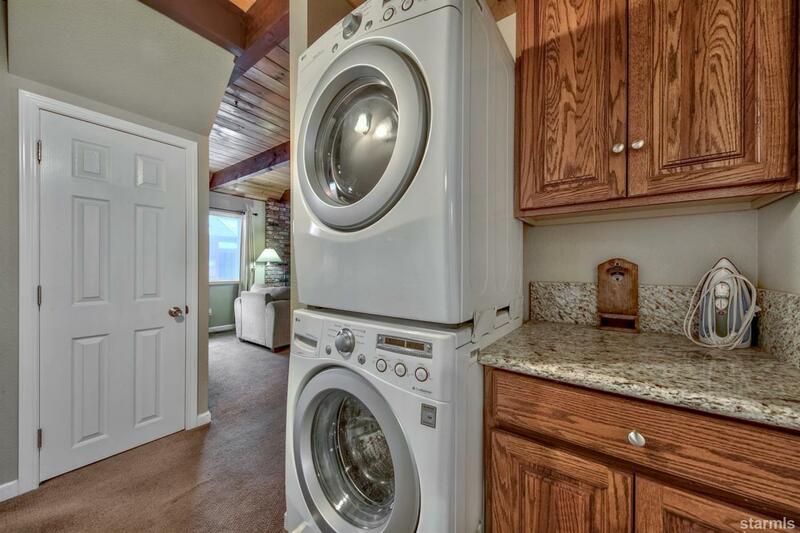 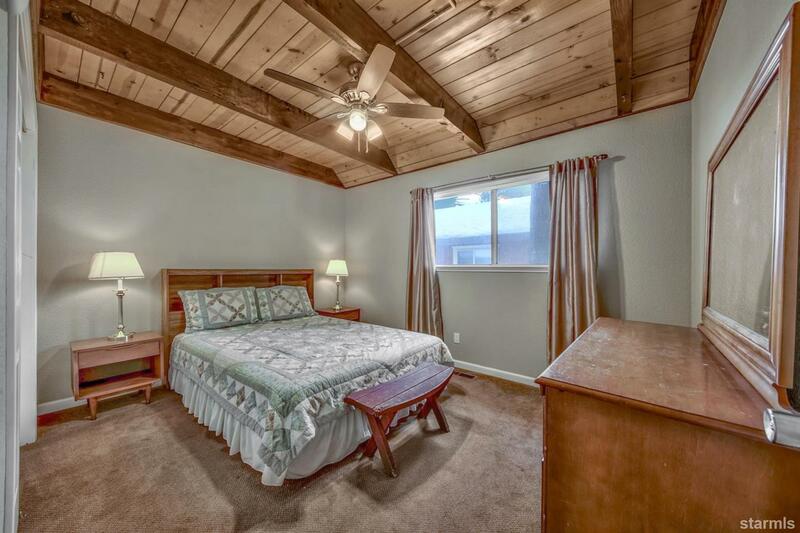 This home has been well maintained with newer doors, carpet and flooring. 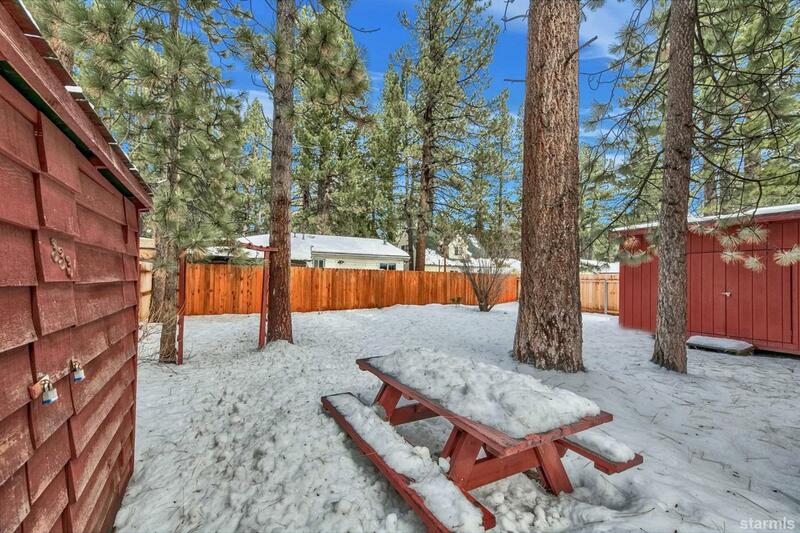 There is also a new roof and two storage sheds in the back yard. What a perfect primary or vacation home with easy access to the casinos, Heavenly, shopping, restaurants and just steps to the lake. 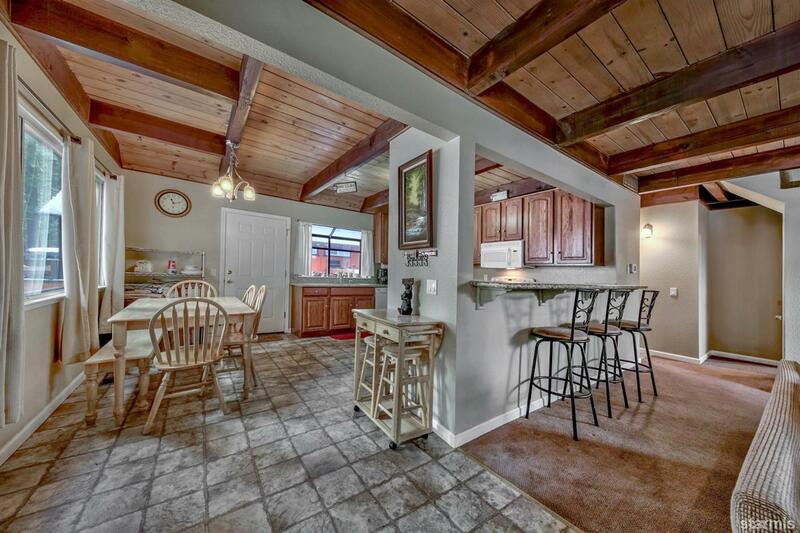 Sells furnished per inventory. 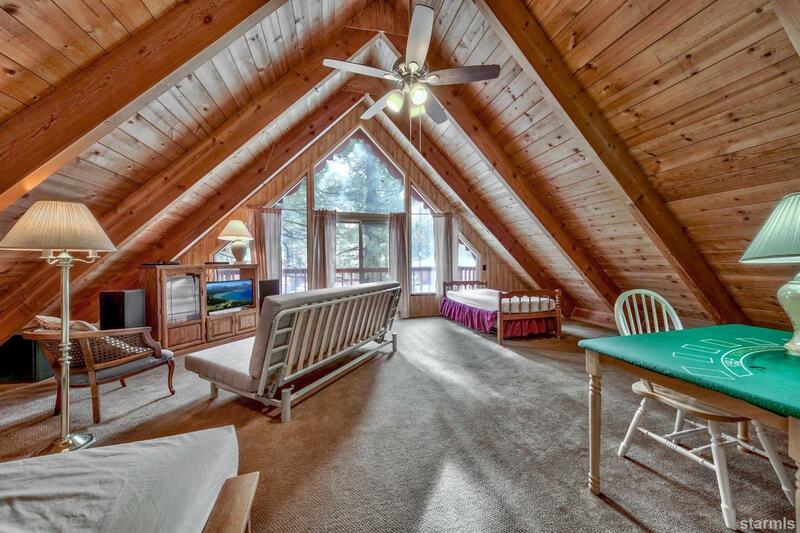 Nothing to do here but move in and enjoy.